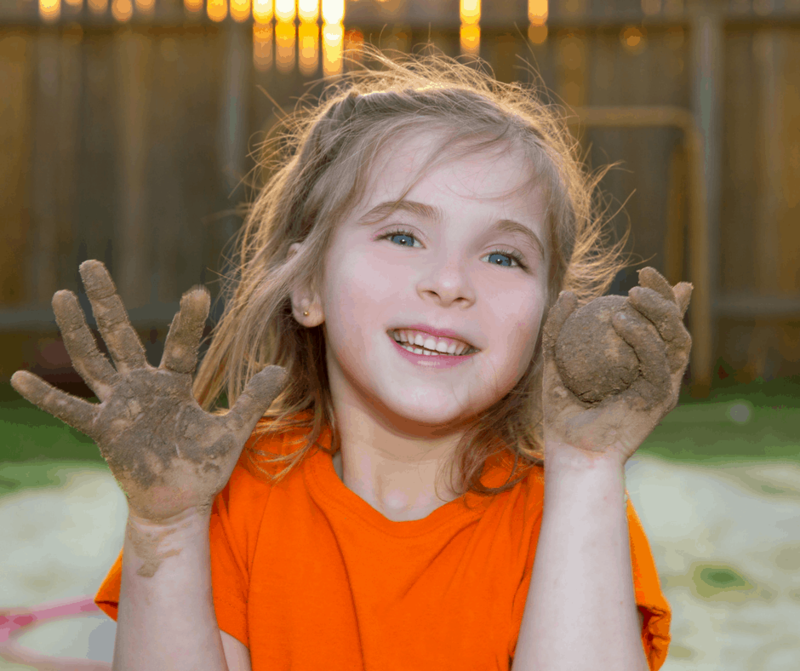 When I was a little girl, I loved making mud pies. I would sit outside for hours in my pretend kitchen and cook for all my imaginary guests. Of course, there was no such thing as Minecraft back then. 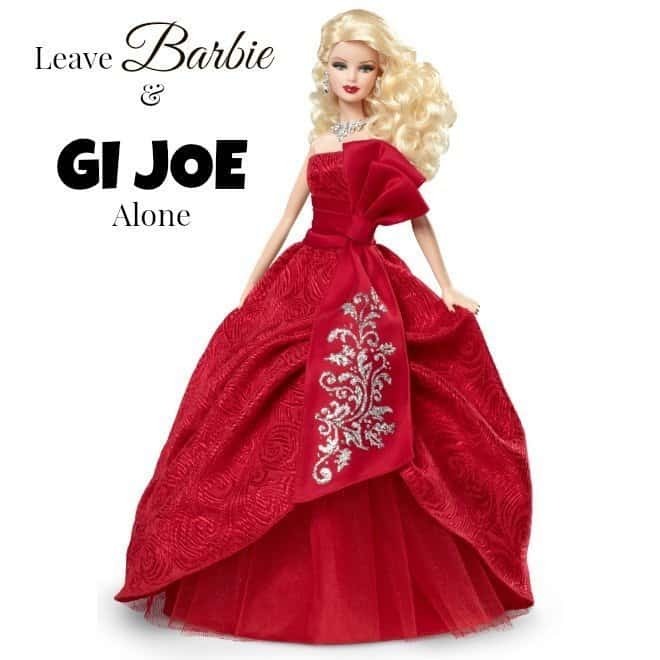 Don’t even get me started on Barbie! My dream was to be a hairstylist, so I would give my Barbie dolls haircuts and beg my little sister to not tell on me. I had two imaginary friends, Taco Salad and Barbeque Lisa. Don’t ask me why I chose those names, but I’m guessing it’s because I really like food. All of my free time was spent using my imagination. I’ve never been a big gamer. When I was young, my family owned the original Nintendo and I enjoyed playing Duck Hunt, but it didn’t hold my attention for long periods of time. As an adult, I occasionally enjoy Candy Crush and if I’m at an arcade I like racing games. My boys, on the other hand, LOVE video games! They were thrilled when their uncle bought them a PS4 for Christmas, and then the following year their grandparents bought them one to keep at their house. Over the years, they have owned PSP’s, Playstation 2, Wii, PS4, Ipads, and iPods. My kids are very involved in music and sports and that takes up most of their free time. In the past, video games have been used as a reward for good grades and behavior on the weekend or played in the summer and their screen time was always monitored and limited. Last year, my boys introduced me to Minecraft. It was confusing to me and I didn’t really understand the game, but I thought it couldn’t be that bad because they were building things. Right? I woke up one day and realized my children had changed right before my eyes. It was as if video games were consuming their thought life. When we would go out to eat, they asked to bring their iPads to play games. If we were with grandparents, they asked to play on their phones. Buffalo Wild Wings became their favorite restaurant because they offer tablets for kids. As summer progressed, they stopped wanting to play outside. They started begging to play video games. I would comply and let them play thirty minutes at a time. When I would tell them to turn it off, they would almost cry. The youngest three boys love for Minecraft was close to becoming an obsession. I began to notice that while they were playing they would fight the entire time, “You killed me!” “Stop tearing down my house!” “I hate you!” Wait. What? My sweet, well-mannered boys are yelling at each other and using language that isn’t permitted in our house??? Shut the front door! I knew something had to change. I was faced with the question of what to do? Do I limit their game time even more? Do I make them play one at a time? I pondered on these questions and talked them over with my husband. One night as I was channel surfing, a 20/20 episode caught my attention. The show was about video game addiction. It featured two teens and a grown man who was addicted to gaming. One of the teens was given an MRI to see if the games had affected his brain. The areas that should have been lit up were gray. He was taken to a wilderness camp to help overcome his addiction. When he returned, he was given a new MRI and this time all the areas that were gray before were now lit up. Playing video games for long periods of time was killing his brain cells! Pictures of my kids growing up and being addicted to video games flashed before my eyes, and I knew what I had to do. I made a decision, that at this time in our lives, my three youngest kids are done with video games. Done, as in not playing them anymore. They will not play them here or there. They will not play them anywhere. Not in a house, not in a tree…(sorry, I love Dr. Suess) I sat them down and delivered the news. At first, they missed playing, but after a week I noticed that my children were back to being sweet, little boys instead of video game monsters. They were playing together like they hadn’t done in months. They were actually playing with toys and using their imagination! Is This a Forever Decision? So, how long will this last? I’m not really sure. My oldest is 13 and has never had a tendency to be addicted like the youngest 3, so we occasionally let him play. He mostly likes to play sports games. He’s played once in the last two months and hasn’t asked to play. I’m not saying that my kids will never play again, because as they mature they may be able to enjoy it occasionally. I want my children to grow up having a childhood like mine and I want them to allow God to fill their imaginations with creativity and ideas. Roam outside, climb trees and explore nature. 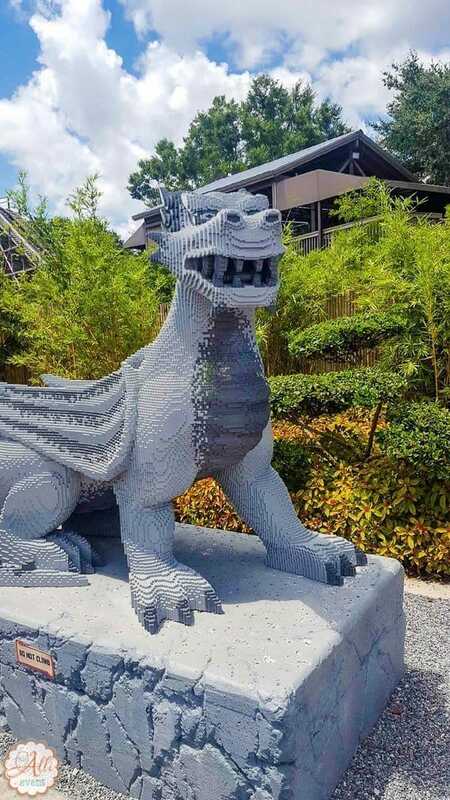 Build things with their hands and not just bricks on a screen. Develop relationships with people in real life. Be content riding in a car playing I spy. Pick a restaurant because they love the food. Experience life outside of a screen. Special Note: Some kids are able to play video games, put them down and walk away (like my oldest child), but other kids seem to crave video games and become addictive. I’m not picking on Minecraft! It just happens to be the video game my kids love the best. You have to do what works for you 🙂 My boys do play video games, but on a limited basis. They both love their video games SO much, I can’t take them away completely. Plus, we all deserve a break and if that is how they want to spend their downtime, that’s ok by me….as long as chores are done and they’ve already read for the day. It was definitely a hard decision, but in our case the pros have outweighed the cons. I love that your kids do chores and read in their free time. Mine do too! I can definitely see why you did this. It’s something we’ve considered as well. Way to go. Thanks! It amazes me how addictive video games can be. Kids need to get out in the open and play for real. They need to get their hands into mud and their clothes dirty. Technology has couped up children indoors. They need to get out. 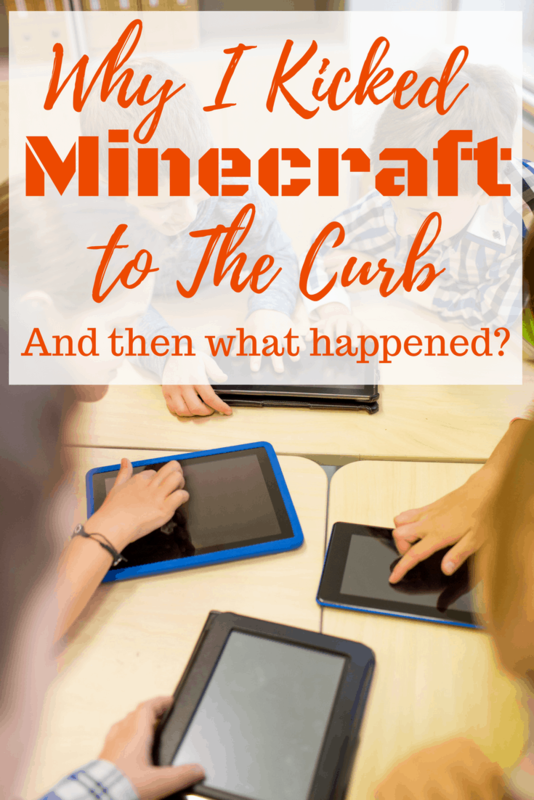 My kids do play Minecraft, but they also go outside. I think Minecraft does a lot of good with problem solving and building, so I never mind when they’re on it. But yes, being outside is important! My daughter is out there a lot. My son I do have to push more, but he’s a teen who’d rather be in his room. I homeschool my kids and can see the educational benefits. That’s great that your kids like the outdoors as well. I used to babysit some boys who were VERY addicted to video games. Their mom would wake up in the middle of the night and find them up playing games. I think you really need to watch how your kids act while playing them and decide based on that. My son used to like to play video games…he still does on occasion, but thankfully he was never obsessed with them. Omg! That’s horrible! I agree. Video games seem to have more hold on some kids than others. It is scary how addictive gaming seems to be for people of all ages, I have to admit I go through phases of playing the odd thing but I’m too easily distracted, my other half on the other hand is the opposite, he is easily taking away into the gaming world. I guess it’s different people’s personalities. They can pull you in before you realize it. I take a step back and look at what my son is up to also. There are days that I am just tired and I just don’t care because I want to relax. I think what you’re doing is awesome and I think most of us should follow suit on that. I agree that children seem to be a lot more violent when they have the games. My son who is the least violent person in the world got into hitting contest with his friend over Minecraft. At that point we stop them from playing it ever. They get along much better now. Good for you kicking it to the curb. Kids need to be playing outside or doing other things other than playing games all the time. Heck a board game is better at least they are talking and interacting. HOLY CRAP! Having medical evidence with the MRI is so scary. We have not had to enforce limits since my son is good about doing athletics and hanging out with friends. I am right there with you!~ We have no banned tablets or Minecraft completely we do limit it a ton! My kids get no tablets all week during school and thirty minutes each day on the weekend, except for long car rides. Then I need them to use the tablets to keep my sanity 🙂 . When we go to restaurants that offer tablets we always decline them, we told the kids we wanted to talk to them and hang out. It has worked so far. 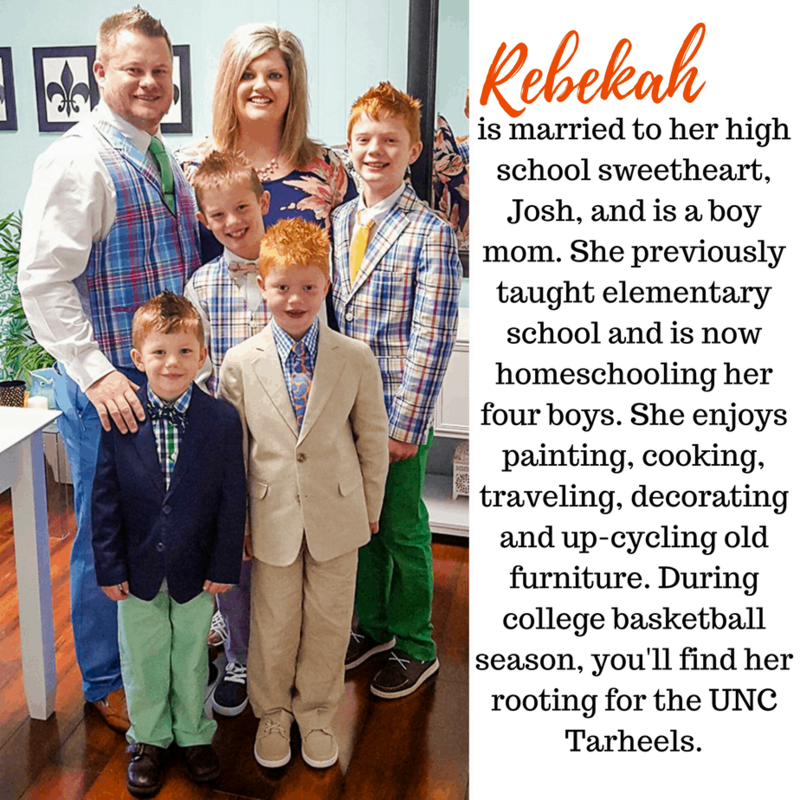 We are a pretty unplugged family and I love it! I definitely understand kids begging to play more video games than they should. My kids were growing up when technology was just becoming a thing. I have the same struggles with my son. He loves video games but has luckily been able to walk away from them. Well, I mean he’s ok with just playing them at home and not on his ipad, phone etc. You made me laugh when you wrote about Minecraft. South Park actually make a funny episode about parents and Minecraft. I hope I didn’t offend with that! I know some don’t approve of the show. Every parent has a right to do something like this if they feel it’s warranted. We’re big video game fans here in our house but they aren’t the only thing in our life. My nephews are OBSESSED with Minecraft and spend absolutely zero time outside or playing with my kids when we visit and it’s really upsetting. My husband and I have made a conscious effort to be a video game free house. It would really help if kids would spend more time outdoors rather than stuck in video games. It was great that you kicked minecraft out of their system. It’s for the overall good. I was somewhat lucky that video games were just getting started when my son was younger, and they were still simple. Bring back the simpler and non-tech times. I have never really been into video games that much myself. I have a lot of friends who play them all the time though. Do what works for you.